Enjoy one of the largest, best tasting burgers you will ever experience and wash it down with an ice cold beverage, from the bar if you wish...at the on-site Endless Summer Grill. After lunch you might want to work off your lunch with a nice, long, invigorating... nap on the beach. After your nap you will need to re-energize with an intense workout in the state-of-the-art fitness center located right here at Sundestin. This might seem like a 'stretch' but it is everyday life here at the beach. 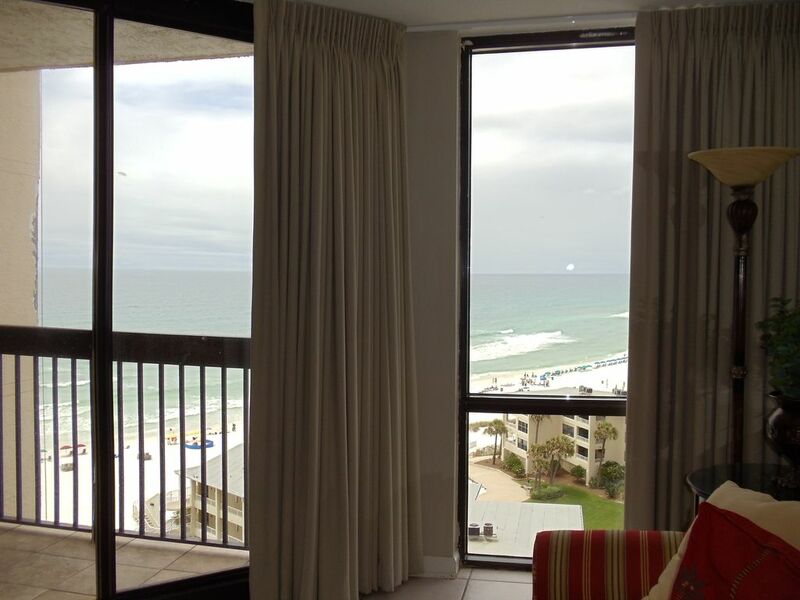 SunDestin Beach Resort is great!... My wife and I enjoy the elegance of the high-rise, all the comforts of home, the proximity to the beach, and the Endless Summer Grill (a full service restaurant and bar). We are unable to live in sunny Destin, FL and want to extend the opportunity for you to enjoy the many unique benefits that the property has to offer. You can rent Water Sports at the Tiki Hut behind the Sundestin!! Loved staying at this property. At night, you get a view of the city lights and the beach. Good experience with booking, arriving, enjoying and checking out! Beautiful views, nice clean accommodations! Thanks Louis! I enjoyed working with you as well! I hope to have you back on our calendars again soon! Clean and well maintained property. All staff were friendly and helpful! Thanks Brian! I’m glad you enjoyed your time in Destin! I look forward to having you back again soon! Great weekend getaway. The sunset views are fabulous. The unit was so clean and cozy. Can’t wait to visit again. Thanks Grey! I am glad you enjoyed your weekend in Destin! I look forward to working with you again soon!! We had a great time there, very clean and good location. Beach is nice, we saw dolphins every morning in the sunrise. Condo is very nice. Pool and hot tub definitely need to be fixed up looking a bit old, I much prefer the beach anyway, so didn't bother me to much. Shower in the condo is super powerful and feels like it's taking your skin off after a day in the sun, there's no changing any setting so u just have to deal with it, it's not good. Overall I still give 5starts. Thanks we're be back. Thanks John! I am glad you enjoyed your stay in Destin and we look forward to having you back on our calendars again soon!! I also appreciate your feedback and will look into the pressure of the shower head.